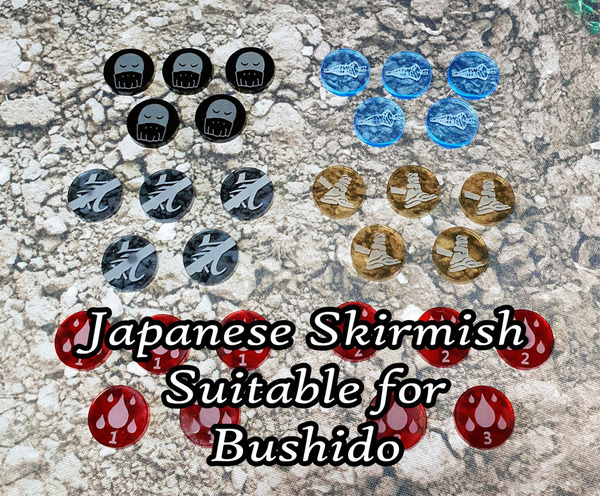 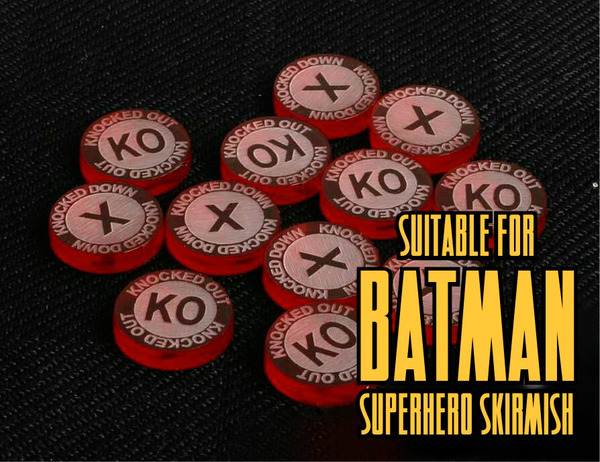 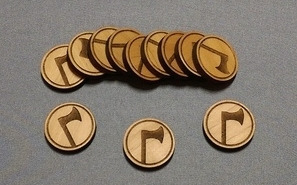 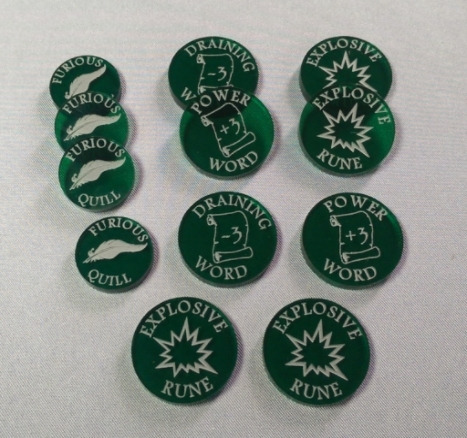 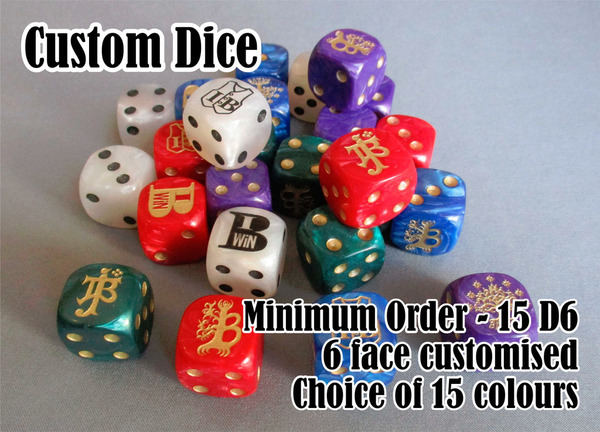 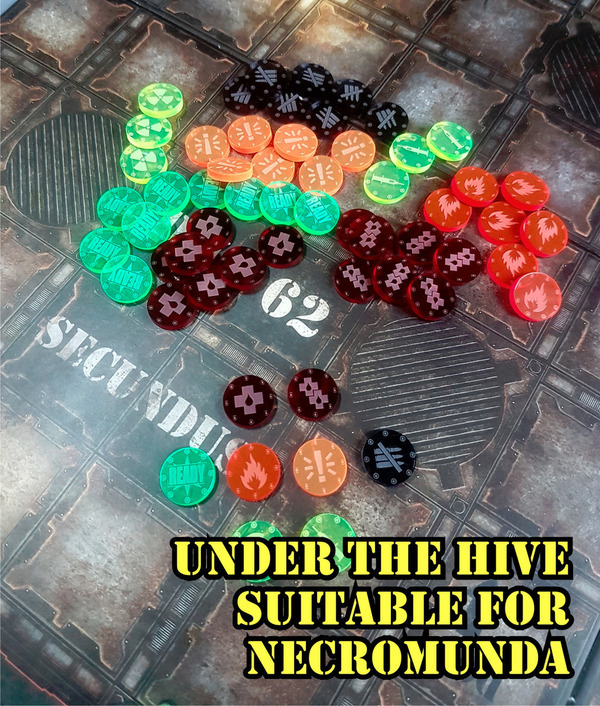 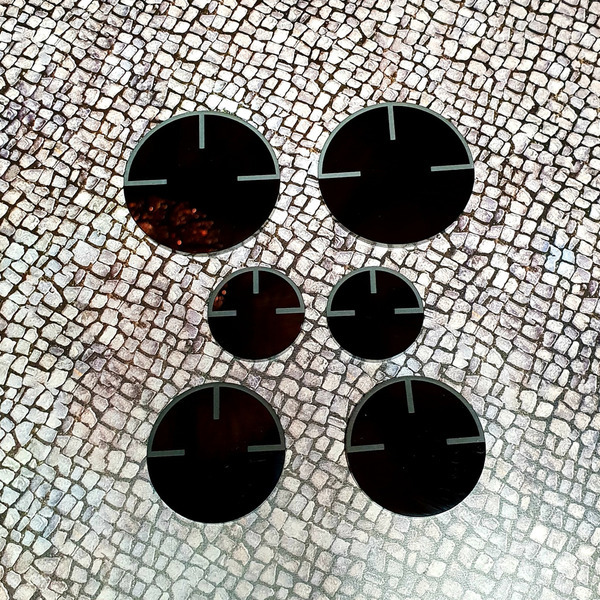 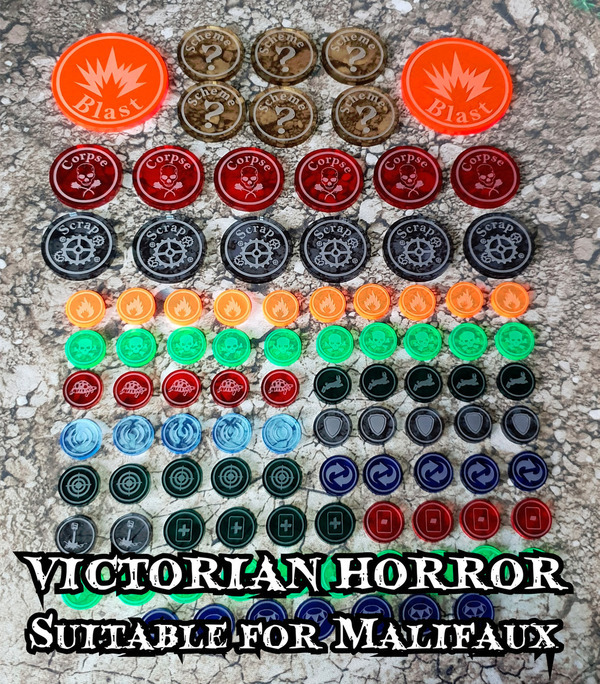 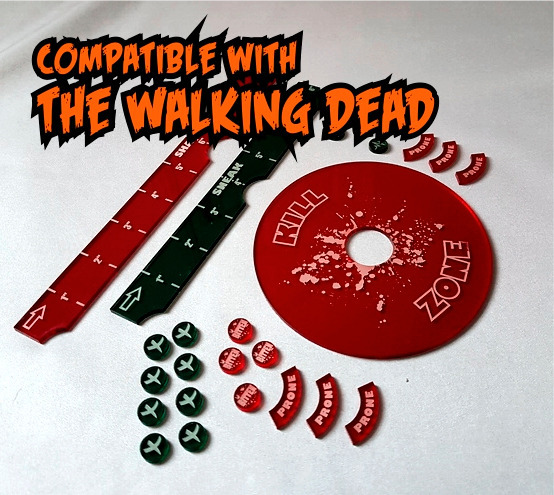 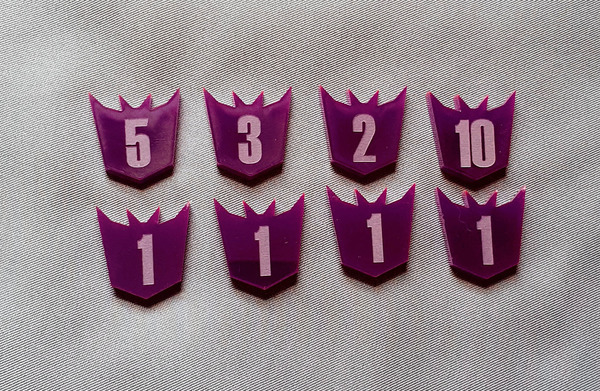 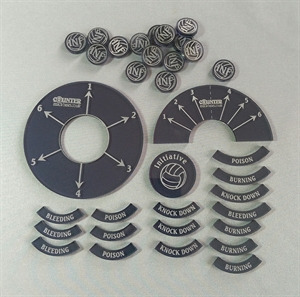 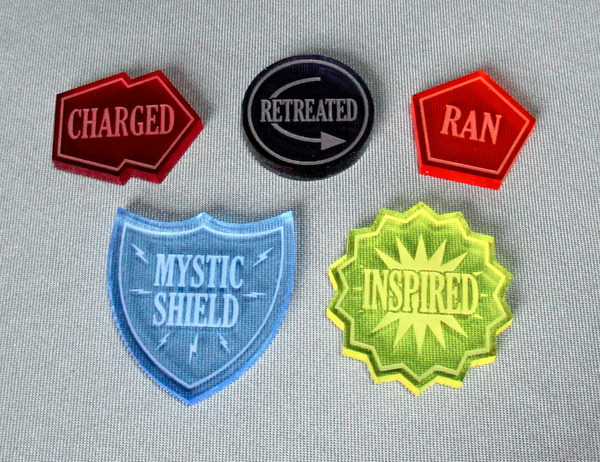 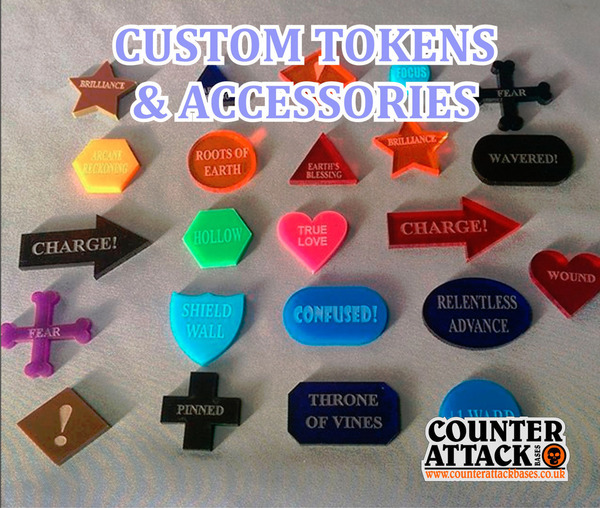 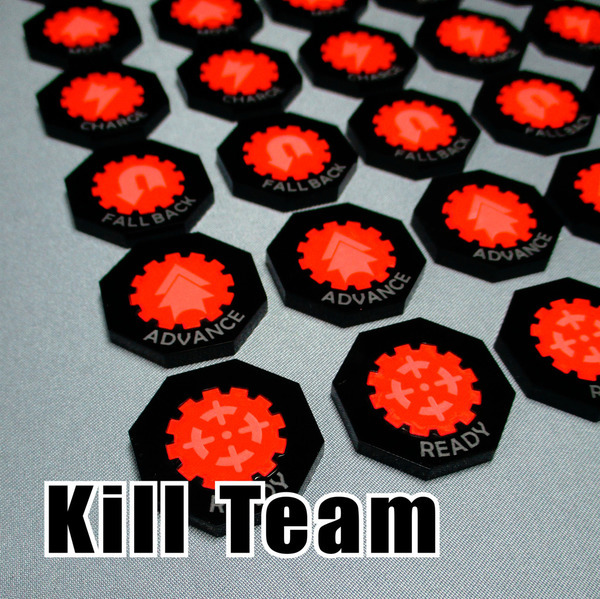 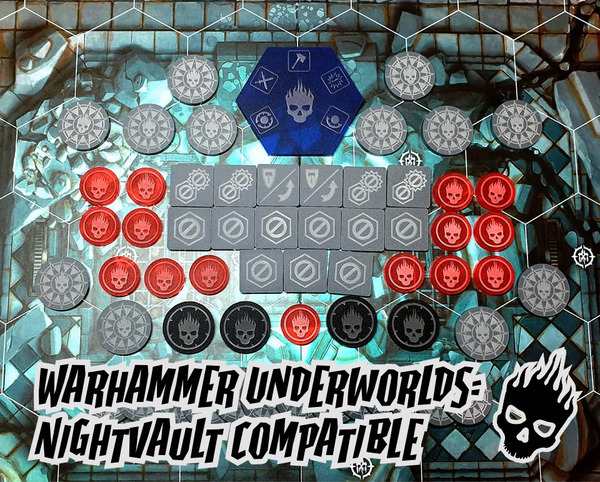 These 30mm x 35mm tokens are great to keep track of any buffs and debuffs effecting your units. 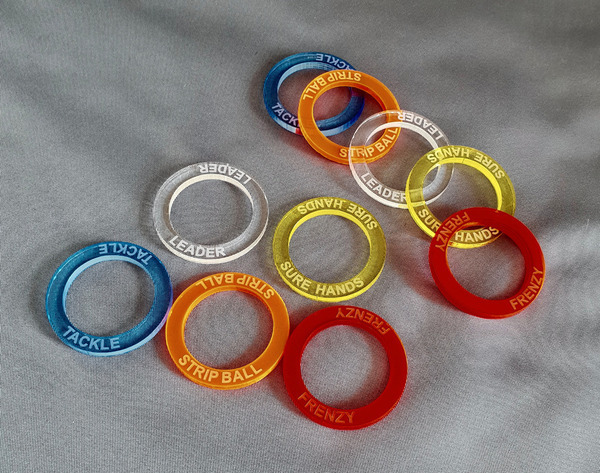 Simply use a drywipe marker to write them on and rub them off when they have stopped. 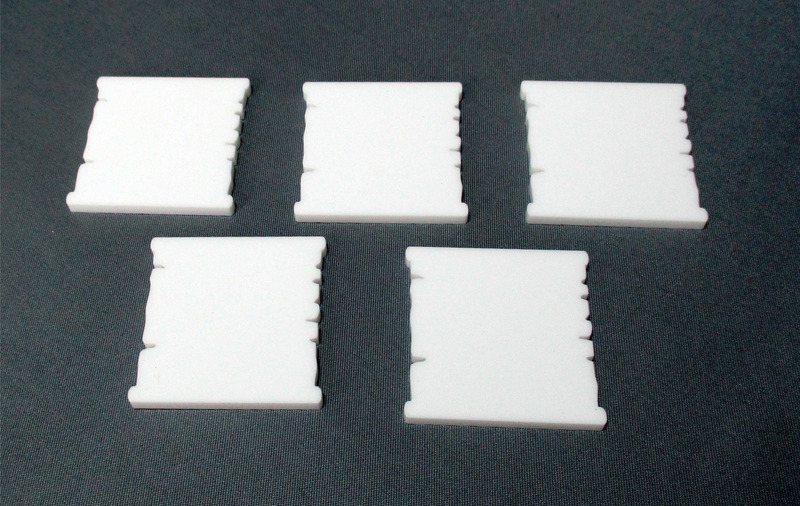 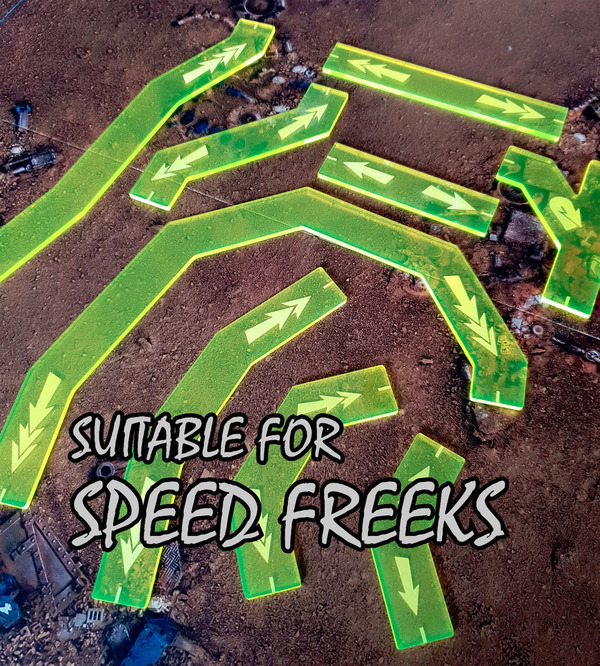 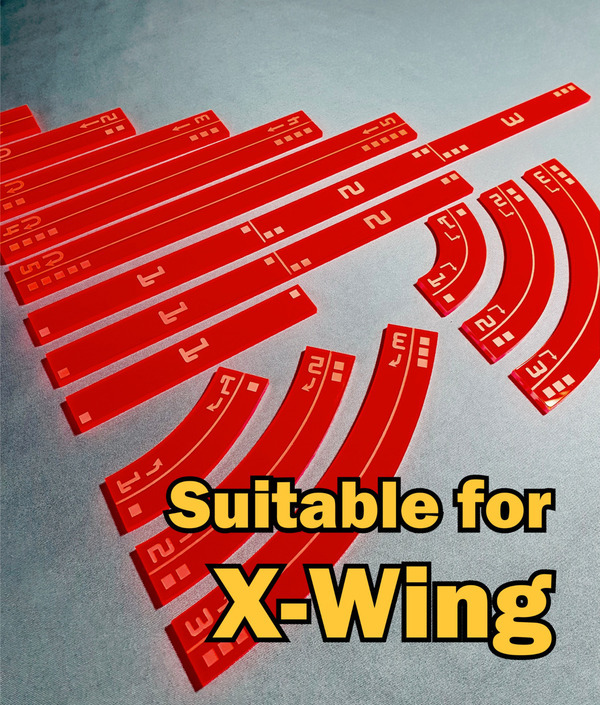 Made from white 3mm Perspex.